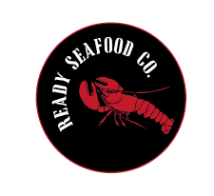 Our Products - Ready Seafood Co.
All of our products begin with live lobster sustainably harvested from the cold clean waters of Maine and Canada. We source all of our lobsters from trusted harvesters and suppliers to ensure traceability so that our customers receive only the highest quality live and processed lobster products. We have a wide array of packing and shipping options in order to make sure our customers receive their lobster products in the fastest, most cost effective manner. We have the ability to service retail, wholesale, and food service companies worldwide.